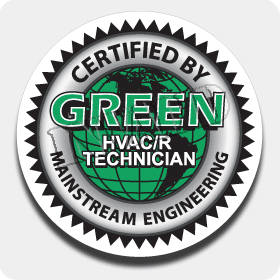 When you need budget-friendly and dependable air conditioner services, call Green Tech Heating & Cooling, an air conditioner company right in Fort Morgan, CO. Over the years, we have provided this area AC services that supply them with amazing cooling. We don’t just provide air conditioner services, we even supply our customers heating services. To get exceptional heating and cooling services for your residence or company, contact us at (720) 276-1403 to schedule an appointment! We are ready to deliver the very best services for your AC, so contact us anytime! Air Conditioner Replacement and Installation Call our technicians when you are in need of AC installation or replacement service. Air Conditioning Maintenance Need maintenance for your AC? 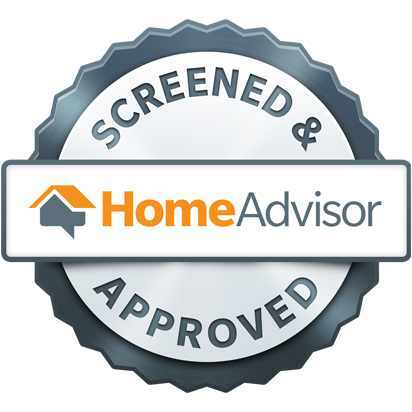 Contact us to make an appointment. Air Duct Sealing, Repair & Installation Whether you must repair your ducts or require sealing service, we are the technicians to call for ductwork services. Central Air Conditioning Repair If you have a central air conditioner system and require repairs, please call our technicians. Emergency Air Conditioner Repair When you need our help with an air conditioner problem that can’t wait, contact us to get emergency AC repair! Indoor Air Quality Want greater indoor air quality? We offer systems like purification, filtration, and humidifiers. Because the winters can be extremely cold, if you have problems with your heating, you will need to get professional repair service. At Green Tech Heating & Cooling we will assist you if you require reliable repair service. No matter what type of heater you have, our HVAC technicians have the skills and experience to fix any kind of heating unit. When the heating system is too impaired, our technicians can replace it with a brand new heating unit. If you are wanting to set up an appointment for heating services, contact our heating and air conditioner company in Fort Morgan, CO at (720) 276-1403. Boiler Repair & Replacement When you require boiler repair or replacement service, just call Green Tech Heating & Cooling to schedule an appointment. Central Heating Repair For repairs for your central heater, you are able to depend on our expert heating service. Electric Furnace Repair & Replacement Quality electric furnace repair or replacement can be yours at an affordable cost when you get in touch with us today! Electric Heat System Repair Get reputable electric heating system repairs by contacting us today! Gas Furnace Repair and Replacement When you need repairs or a replacement for your gas furnace, feel free to call our company! Heating Maintenance Heating maintenance is an excellent preventative solution in order to extend the shelf life of your heating system. On top of offering HVAC services to homeowners, our company also offers HVAC services for commercial property owners. Our heating and air conditioner company in Fort Morgan, CO is able to fix air conditioners, furnaces, and boilers! Your business is important to us, so when you are having issues with your commercial cooling or heating system, you can call our HVAC technicians at (720) 276-1403 to schedule an appointment. Commercial Air Conditioner Repair If your commercial AC needs repairs, just contact our HVAC company. Commercial Boiler Repair Receive Expert and cost-effective boiler repair now when you contact our commercial HVAC contractors. Commercial Boiler, AC & Furnace Service With the assistance of our commercial HVAC technicians, we can clean and maintain your air conditioner and heating systems to ensure they are in excellent condition. Commercial Furnace Repair For professional commercial furnace repair service, you can believe that our HVAC company offers exemplary service. Commercial Rooftop HVAC Repair Get your commercial rooftop HVAC unit fixed immediately when you call our technicians! Every part in your heater or AC works together in order to make the HVAC system function. When you have no upkeep done to your heating or cooling unit or there was faulty installation, this will lead to parts failing. Fixing the part will be our first course of action, but we will completely replace the part if it’s past repair. To set up an appointment for heating and air conditioner parts replacement or repair service, call our heating and air conditioner company in Fort Morgan, CO at (720) 276-1403! AC & Heater Capacitors Replacement Our technicians can determine if the capacitors in your AC or heating system are damaged and replace them. HVAC Blower Repair & Replacement If the blower in your air conditioner or heating unit is defective, our technicians will either repair it or replace it entirely. HVAC Circuit Board Replacement Because the circuit board is similar to the brain of a heating or cooling unit, please get in touch with our contractors for a replacement when yours is failing. HVAC Relay Replacement Our heating and air conditioning contractors can examine your heater or air conditioner unit and figure out if the HVAC replay needs to be replaced. HVAC Thermostat Repair, Replace & Upgrade It doesn’t matter if you need thermostat replacement, repair, or need an update, you can depend on us for thermostat services.